That’s it, folks. Turkey’s election is officially over. 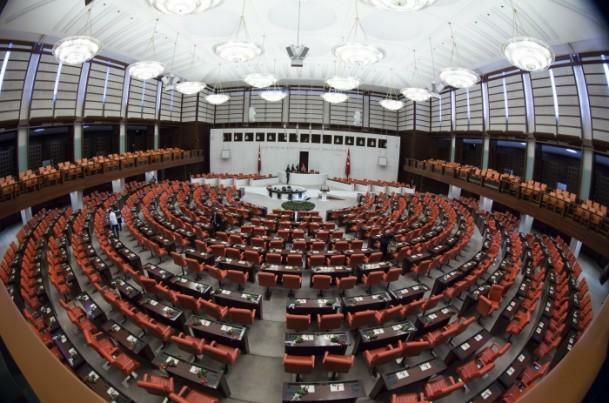 A little over two weeks after people in Turkey went to the polls, the country’s parliament is convening for the first time. The first stages won’t make for particularly thrilling politics – at least not in the chamber, where the new MPs will spend a couple of days taking the oath of office. But the election for the new speaker will be interesting to watch. not depart from the ideal that everyone should benefit from human rights and fundamental freedoms within the context of social peace and welfare, national solidarity and justice. It takes about 45 seconds to read this at a fairly pedestrian pace, and perhaps another 45 seconds for the MP to walk up to podium. With so many MPs to get through, it’s clear to see how it will take many, many hours just to process them all. But Ms Beştaş won’t be the first to take the oath. That treat falls to Deniz Baykal, who is required by the constitution to sit in the speaker’s chair as the oldest member. The constitution requires that he opens proceedings at 3pm local time and his first words will be the oath of office. Mr Baykal will then chair parliament’s proceedings until a permanent successor is elected. The rules are pretty straightforward. The parties can nominate any MP from among their number – other than the party leader – for speakership. There are four rounds of secret voting: for the first two of these, a candidate requires a two-thirds majority (367 votes out of a possible 550) to win. The bar is lowered to a simple majority (276 votes) in the third round and, if there is still no winner, a fourth round is held between the top two candidates. The process of picking the new speaker is the first scene in the inevitable drama that will be negotiations for Turkey’s first coalition government this century. It is also the first truly competitive selection for a speaker in 15 years: the AK Party has previously always had enough seats to elect their man in the third round. This time, the arithmetic is such that there is no guarantee of an AK speaker and the election results could hint at voting patterns in the new parliament. The pro-Kurdish HDP has been the first to announce its candidate: Dengir Mir Mehmet Firat, the parliamentary veteran who helped establish the AK Party before joining the HDP earlier this year. The other parties’ candidates are the stuff of speculation. The nationalist MHP might go for Ekmeleddin İhsanoğlu, a candidate in last year’s presidential election. He could draw support from sympathetic AK Party members. The AK Party’s outgoing speaker is Cemil Çiçek, who cannot run again because he is no longer an MP, but other senior figures like Nabi Avcı are strong candidates. The centre-left CHP could try and push to keep Mr Baykal permanently in the role, but he is a divisive figure and would struggle to attract support from other parties. It looks fairly likely that the race for the speakership will be ultimately be a contest between the two largest parties. This will happen in the fourth round, when all other candidates are eliminated, and will mean support from the two smaller parties will be crucial. 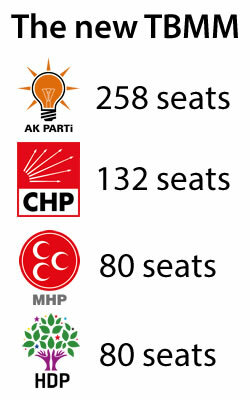 The AK Party will hope its candidate will draw enough support from the MHP MPs seeking a right-wing speaker. But CHP leader Kemal Kılıçdaroğlu could have a trick up his sleeve for an overture to the opposition: speculation this morning suggests he might nominate a woman for the role. An historic first woman speaker could be too dazzling a prospect to resist. The first round takes place next week.